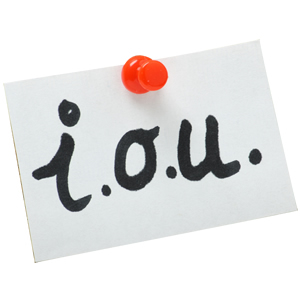 This section covers the costs you will have to pay if you want to decalre yourself bankrupt. In England and Wales bankruptcy fees total £705. The court fee of £180. In some circumstances the court may waive this fee; for example, if you are on Income Support. If you are not sure whether you qualify for a reduction in the fee or whether you are exempt from paying the fee, court staff will be able to advise you. The deposit of £525 towards the costs of administering your bankruptcy. This deposit is payable in all cases. The above fees should be paid in cash or postal orders, or by a cheque from a building society, bank or solicitor. Cheques should be made payable to H M Paymaster General. Personal cheques will not be accepted. Our panel of specialists can quickly advise you of your options if you are considering going bankrupt. Simply call the team on 0800 088 2208. Alternatively take the online bankruptcy test and find your best solution. Find Out If You Qualify For Bankruptcy? © 2015 Money Advice Online Ltd company no. 09554412 (Registered in England and Wales). ICO registration no. ZA116663 All right reserved. Money Advice Online are a comparison service that acts as an introducer to companies who offer regulated financial advice (FCA approved). Money Advice Online does not provide any advice and we are not liable for any financial advice provided by, or obtained through a third party. As with any investment, the value of investments can fall as well as rise and maybe worth less than what was paid in. Past performance is not an indicator of future results. Money Advice Online does not provide any regulated debt activates in relation to debt counselling or adjusting. You can also get free impartial debt advice by following this link to the Money Advice Service.